How many times in courtroom dramas have we heard those words? 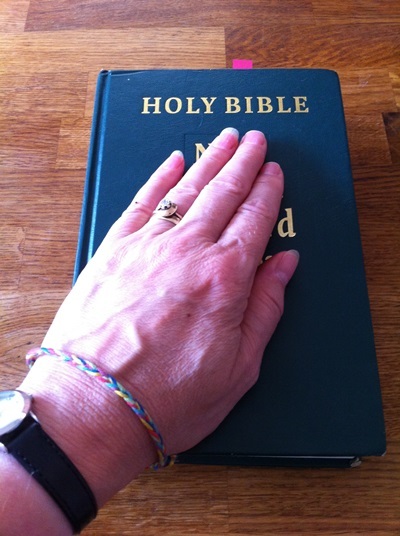 The defendant’s hand on the Holy Bible, declaring before all, that whatever questions they may be asked or evidence presented that they will give a true testimony – the very act a symbol that God-fearing men and a woman would not dare to do otherwise. Yet how often do we fail to be true witnesses? A hush fell over the room as the defendant was brought in. He stood accused of usurping the authority of the court and there were audible gasps as he walked past the dock and made his way to the high bench that ran along the back of the room. “This is all highly unusual,” spluttered the clerk of the court, an earnest young man, partially hidden by the piles of law books spread across his desk. The packed public gallery leaned forward as if they wanted to make sure they heard every word correctly; for the defendant spoke so quietly that it was difficult to hear sometimes and they didn’t want to misinterpret his evidence. Meanwhile the jury sat silent, some nodding occasionally, whilst others seemed bemused and glanced over towards the foreman, a man with an air of self-importance, who seemed to know exactly what was required of him. The defendant looked down with great sorrow etched across his face, as if to say that it would make no difference whichever he pleaded because they had already intimated that his word was not one that they would be prepared to accept. Instead he called for the first witness to be brought in. The entrance of this witness caused quite a stir. He moved awkwardly into the witness box as if he was uncomfortable in his stiff rough cut suit; his sandals flapping on his feet. His wild unruly mop of hair looked as if it had never known a comb and his beard was littered with sticky patches of what looked like honey and insect remnants. Yet, he had an air of confidence and conviction. The witness then shook his head as he looked around at the blank, uncomprehending faces – he didn’t think they’d even heard what he’s said. He glanced at the man sitting calmly and apparently relaxed on a chair to the right of the ornate throne where the judge normally sat, and smiled knowing that he had spoken true. There was a brief lull in the proceedings as the next witness came into the court. He was an old man who leaned heavily on the staff in his left hand. Everyone shifted in their seats as they began to realise exactly who had just entered. The atmosphere became deferential, and the clerk of the court was barely beside himself as he recognised the editor of some of the very books that lay before him and which he had pored over when he’d studied for his examinations. The distinguished looking man made his way to the witness stand and waited patiently to be questioned by the chief prosecutor. The witness, Moses, sighed deeply and thought to himself that nothing changes. How long was it to be before people would understand absolutely and unquestioningly that God was trying to reach them in every way possible to offer love in all its fullness. The defendant, however, rose from where he was sitting and walked through the tumult of the room and threw open the doors of the court-room. Light flooded into the room, causing those within to shield their eyes – all except Moses and the man they called Jesus Emmanuel.